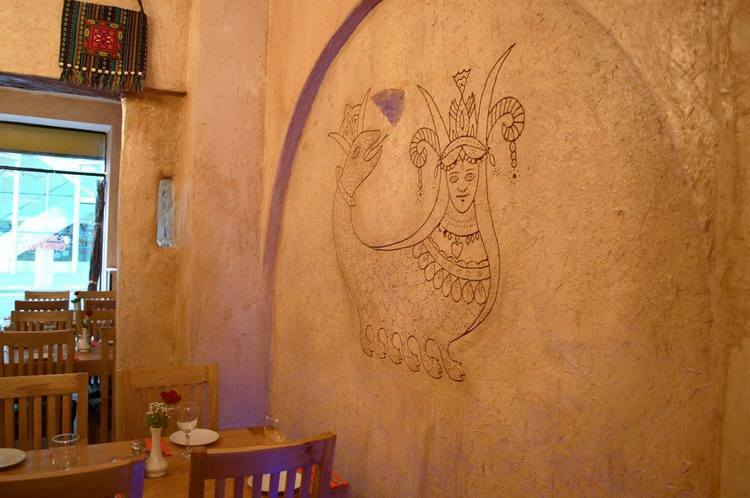 What's cooking at Edinburgh's Rojava restaurant? 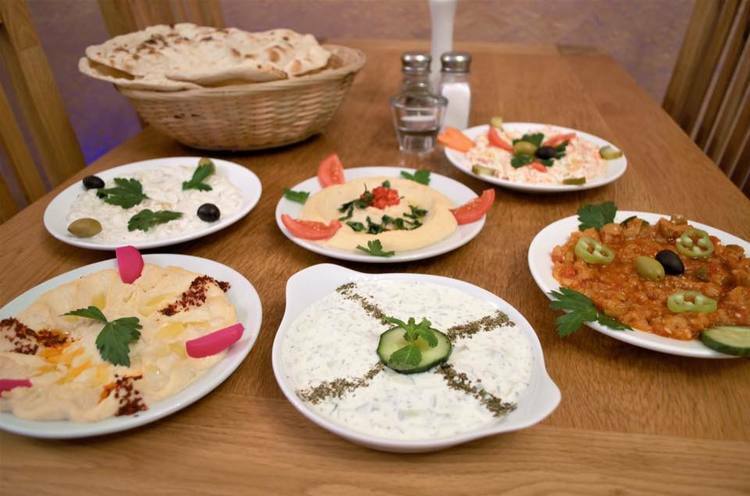 Rojava offers a range of hot and cold mezze. Pics: all from [restaurant Facebook]. 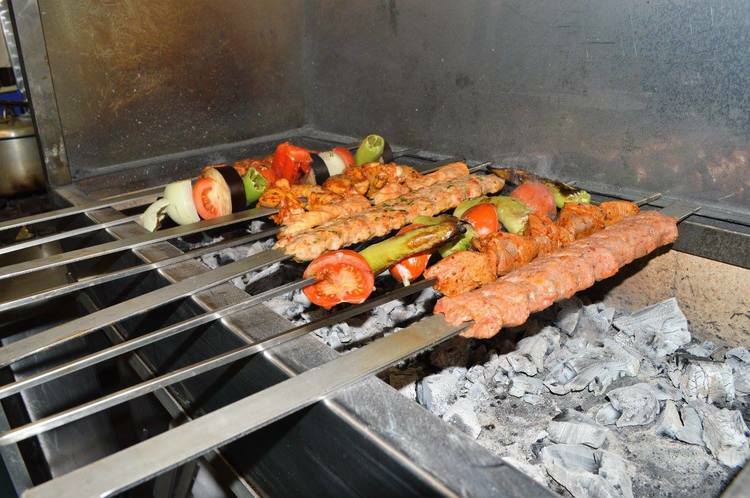 Opened last November, Rojava is a Kurdish restaurant on Edinburgh’s Morrison Street. A spacious restaurant, the walls at Rojava are hung with Kurdish arts and crafts while colourful glass lamps give everything a warm glow. When not admiring the art, guests can watch the chefs at work in the open kitchen or keep an eye on the street life through the large windows. Named after the home town of the owner, it serves traditional Kurdish cuisine along with dishes from other parts of the Middle East. The charcoal grill seldom gets the chance to cool down. From minced lamb pastries and kubba Mosul – deep-fried, crushed wheat parcels – to calamari, baba ganoush and hummus, there is a great selection of hot and cold mezze or little plates. 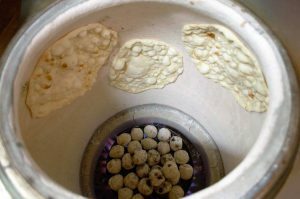 Naan are cooked fresh in the tandoor at Rojava. The lamb and chicken kebabs – cooked over charcoal – take pride of place on the menu alongside more casserole-style dishes like the slow-cooked lamb qozy or the meatballs in tomato sauce. There are BBQ lamb chops, biryani dishes and, of course, lots of inventively cooked aubergine dishes as well as a seafood selection. If the choice seems overwhelming, simply order the mixed BBQ dinner for two or even the Rojava dinner for three or four. Haymarket train station is a five minute walk and the restaurant is handy for Edinburgh’s theatre district and three cinemas. Rojava is BYOB with no corkage. You can book in to Rojava with 5pm Dining. From Monday to Wednesday, you can take advantage of a 20% discount on the dinner menu when booking with 5pm Dining. 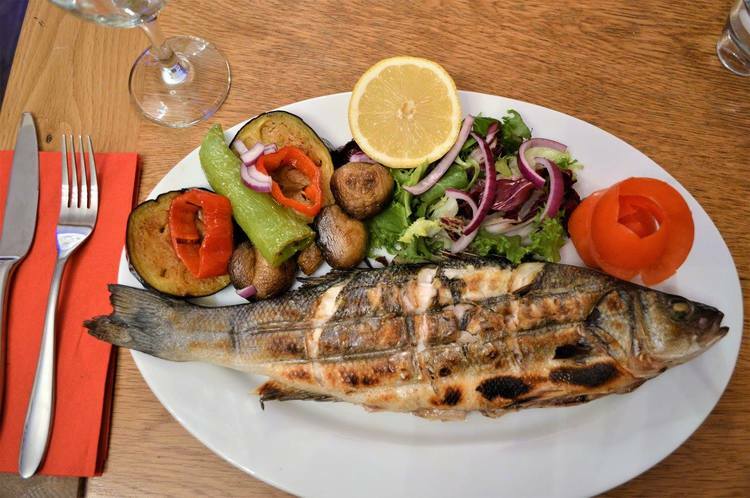 Sea bass, calamari and king prawns are among the seafood served. 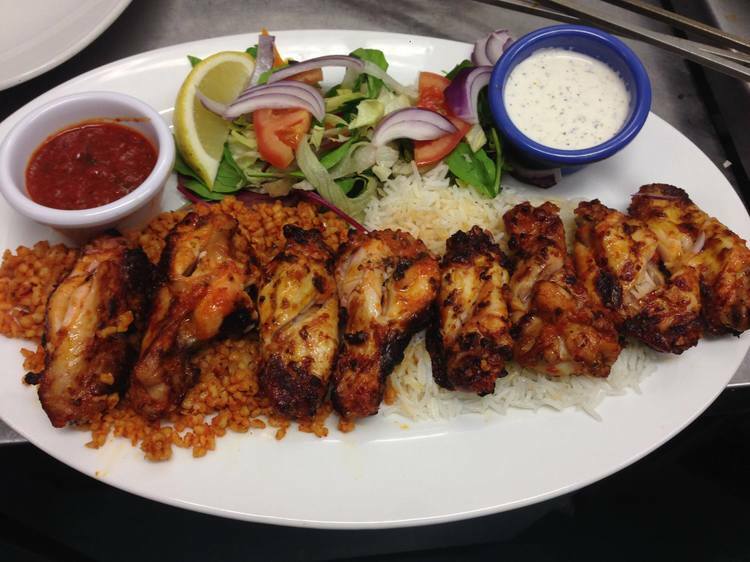 The chicken wings are marinated, cooked on the charcoal BBQ and served with basmati rice, bulgur, salad and a garlic and chilli sauce. Traditional Kurdish art decorates the walls.